Our Waffle vaping juice from Logic Smoke is a great treat for your tastebuds. It tastes just like a warm buttered waffle. You will be amazed at how spot on this flavor is to your favorite breakfast. Vape it by itself or add it to one of our fruity flavors to give you a tasty berry waffle. 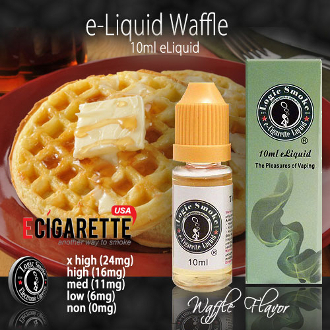 Pick up a bottle of Logic Smoke Waffle E-liquid and enjoy breakfast anytime.